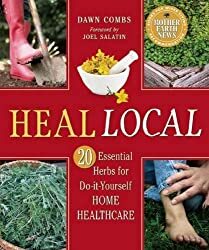 Today we’re chatting with Dawn Combs, author of Heal Local: 20 Essential Herbs for Do-it-Yourself Home Healthcare . How did you get interested in medicinal herbs? I have been fascinated with ethnobotany since college. I was sitting in a lecture in college about how a plant can decide from one day to the next to pull a different nutrient from the soil in response to an insect attack and it became incredibly clear to me that there was an intelligence in the plant kingdom that I had never heard about. Those same chemicals that are often used by the plant to protect it against disease or predation are often the ones we use for medicinal benefit. I was hooked. After getting my botany degree it took me another ten years to find Rosemary Gladstar with whom I could formally continue my studies in botanical medicine. Where did you get the idea to write this particular book? Since completing my studies and starting our herbal business we have lived in a community that is not blessed with a local medicine economy. 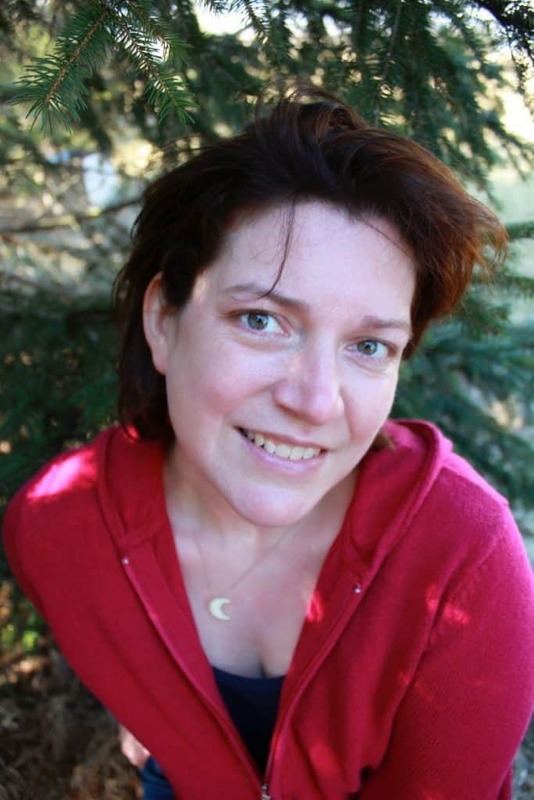 I am passionate about helping people regain their herbal birthright and become self-sufficient in their healthcare. For years I’ve stood at a farmer’s market booth watching people who are enthusiastic about knowing the farmer who grew their food but being content with no connection to who makes their medicine. That seemed like a disconnect to me and I began to think a lot about how the buy local, eat local notion could be extended to local medicine. Why these 20 herbs? and why 20? why not 15 or 25? The book isn’t really about THESE 20 herbs. I don’t want to suggest that these are the 20 that everyone should have. My point is that I addressed almost 100 health issues in this book with only 20 herbs. We don’t have to have a different herb for each problem and we don’t need to feel overwhelmed with natural healthcare. Everyone’s home medicine chest should be personalized for themselves or their family. If they can grow some themselves or wildcraft local herbs, so much the better. I really wanted to bring it down to 15, but I just couldn’t build complete protocols for some of the diseases that our culture struggles within just 15 so it had to expand to 20. Is there a herb or two that you seriously considered but it ultimately didn’t make the final cut? Why? I truly can’t live without nettles (Urtica dioica) or dandelion (Taraxacum officinale) and they aren’t in the book. It’s not that I don’t value them, it’s just that they weren’t necessary to make my point. If anyone has a bit more room in their cupboard I hope they add the weeds that we can get for free… perhaps that’s another book! Do you have any particular advice for someone who is just starting to use herbs? Keep it simple, learn to trust your own inner knowing. Approach herbs with respect, not fear. In keeping with what I’m trying to say in the book, I would say choose only one or two herbs to start and get to know them really well. Grow them, eat them and use them in your medicine. Don’t pressure yourself to learn every herb you hear about, look in your own backyard. Are there any mistakes that you see made with herbs? and how do we avoid those mistakes? One of the biggest mistakes I see is when people take one source about a given supplement as gospel. Even worse is when they don’t vet the source. There are many armchair health educators out there who’s authority is dubious at best. That’s not to say that these “authorities” can’t be right occasionally, but it is always good to check out your sources and look for supporting information in at least two other reference points. The other big mistake is when people give their authority away to someone else and don’t listen to their own inner knowing. Develop your own filter so that you can determine what is believable and what is right for you versus what may be more appropriate for others. To read our review of Dawn’s book and enter the giveaway to win your own copy, click here.